Our first book, “Life in England” was inspired by events from real life. Each engaging short story introduces Russian speakers to useful everyday language. As you follow along with this downloadable book and audio track, you’ll get a chance to hear each word as it is used in conversation, giving you a firm sense of natural confidence in grammar, usage, and pronunciation. 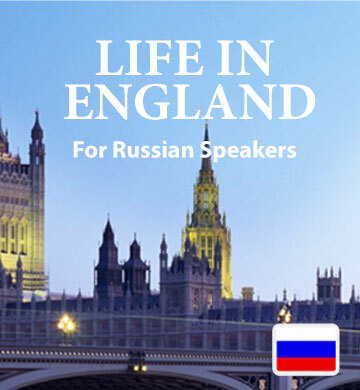 Whether you’re preparing for a short visit to an English-speaking country or considering immigration, you’ll find this book an enjoyable way to get familiar with the language. We’ve also included our simple to use Easilang app, which lets you bring your book along with you wherever you go, on your mobile device or phone.